This month, the “Take Charge of Your Health Today” pages focus on gun violence prevention. Erricka Hager, Health Advocate at the Urban League of Greater Pittsburgh; Esther L. Bush, President and CEO of the Urban League of Greater Pittsburgh; and Bee Schindler, Community Engagement Coordinator with CTSI, spoke on this topic. EB: I’m so pleased that we’re finally addressing the issue of gun violence prevention, Erricka and Bee. I hear about a new tragedy almost every day. The Joyce Foundation reports that more than 110,000 Americans are injured or killed by guns every year, in community violence, domestic violence, mass shootings, suicide and accidents. It is imperative that we interrupt this cycle of violence that’s negatively impacting the Black community. EH: It’s a tragic time, Ms. Bush. In urban areas like Pittsburgh, young people of color, their families and communities experience the impact of gun violence most acutely. Tim Stevens, CEO of the Black Political Empowerment Project (B-PEP), is correct in saying that we cannot become numb and accept the constant tragedies as our new reality. Lack of trust between police and community members further weaken communities and compromise public safety. EB: Absolutely! The negative impact of gun violence has caused us, as community leaders and city officials, to demand an end to gun violence. Black communities fear for their safety. For Black communities to feel safe and just, we must renew our efforts to prevent gun violence before it occurs. It’s important that we talk about how the Black community can build greater police-community trust. BS: Yes, Ms. Bush. To make change, we need to all show up—not only people in Black communities. It’s important, for both the health and progress of the Black community, to put an end to gun violence by addressing the systematic racism and policies that have kept this violence in place. Gun violence and the community trauma aftermath is a public health crisis. At the legislative level, just this month, PA Bill 2060 started the process by passing a monumental law that takes important steps to disarm domestic abusers and make Pennsylvania families safer. With this week being voting week, it’s a hopeful and actionable step. EH: Voting is such an important, actionable step in which Courier readers can engage. Readers can also join the local Black Women for Positive Change (BW4PC) chapter. BW4PC is a national, policy-focused network of predominantly Black women who are working to change the culture of violence in the United States. BW4PC recently hosted their sixth annual “Week of Non-Violence.” During the week of October 14-20, BW4PC held workshops and discussion panels aimed at reducing violence in the Black community. BS: Small, local and immediate change, like neighborhood revitalization, has proven to help bring communities together by highlighting outside collective spaces, as indicated in Dr. Alison Culyba’s research about gun violence prevention. In her research, green space, proper working infrastructure, like porch and street lights, and easy access to public transportation were linked with a lower risk of youth homicide. This could be something in which we all could take part. EB: Thanks for sharing those actionable steps with our readers, Erricka and Bee. I’d encourage everyone to come together in this time. I hope our readers will join us at our Dinner & Dialogue series to have the hard discussions and commit to working together to put an end to gun violence. I look forward to talking about another important health issue next month—infant mortality. 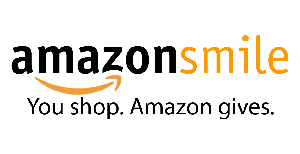 Amazon donates 0.5% of the price of your eligible AmazonSmile purchases to the charitable organization of your choice, including the Urban League of Greater Pittsburgh. The Urban League of Greater Pittsburgh was founded in 1918 with the shared National Urban League mission of enabling African-Americans to secure economic self-reliance, parity and power, and civil rights. Your contribution will help us to continue the Urban League of Greater Pittsburgh’s mission of enabling African Americans to secure economic self-reliance, parity and power, and civil rights.